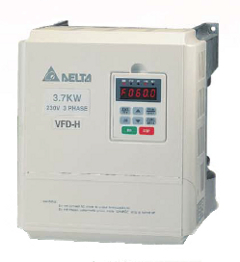 Analog frequency setting: 0-10VDC, 4-20mA. Coast to stop or ramp to stop can be set. Digital keypad can be connected to VFD with the extended wire less than 5m.